The Wright Wreport: Around the World in 10 Weeks: How You Can Do It, Too. And Survive / Thrive. And Get Tons of Images – Some of Them Really Good. Around the World in 10 Weeks: How You Can Do It, Too. And Survive / Thrive. And Get Tons of Images – Some of Them Really Good. 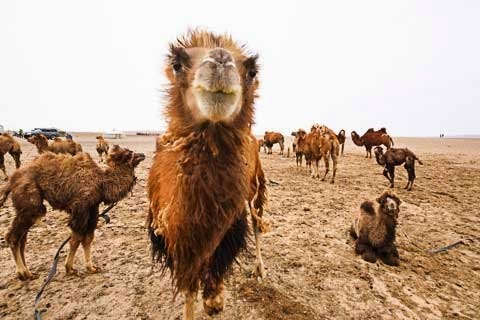 Bactrian (two-humped ) camels in Gobi desert in Mongolia. Photo by Joel Simpson. HEADS UP: Welcome to the fold new contributor Joel Simpson, a Renaissance man and generally worldly fellow. (Read his profile on the “About VP/[Contributors tab,” http://www.bit.ly/1tzS8VW]) Indeed, he recently returned from a trip to a dozen countries. Not only does Joel have breathtaking images to share, which will be published shortly, he returns with some very useful pointers for traveling in the developing world detailed here this week and next. Take heed, Dear Travelers. It seemed inconceivable to the majority that I would set out for destinations that were the stuff of fantasy – or cartoons. Of course, a significant number had themselves been to some of the more far-flung places, like India, China and Vietnam. No one, however, had been to either Madagascar or Mongolia. Further, no one had visited so many countries in a single trip. Ten weeks is a long time to be away. If you can spare the time, you can certainly do what I did. But if you only have two to four weeks, it is still very possible to visit countries you might have only dreamed of going to and reap the considerable rewards. What follows are suggestions about how to visit multiple countries over a number of weeks with the least amount of hassle and most amount of enjoyment. It is easier (and certainly less expensive) than you think. An ExOfficio GIVE-N-GO® LACY™ tank top http://www.bit.ly/1wYihyw. Photo from ExOfficio Web site. It was a lot to haul around, but I was never once charged a supplement for excess luggage weight, to my surprise. I kept the rolling duffle right around 20 kilograms. For all but my transoceanic flights, the rolling photo bag (by Think Tank, http://www.thinktankphoto.com/) was a carry-on. We took three shorter flights where we returned to a base city. In all three cases I used a small nylon bag that folded into practically nothing in my big duffle. And I didn’t take my rolling photo case on those short excursions. The next most important consideration for long-distance travel is the type of clothing to bring. ExOfficio (http://www.exofficio.com) is a company that specializes in travel clothing. The company uses fabrics that repel insects. Just as important, the fabrics do not absorb odors, so you can wear the same underwear (and sleep in it) without offending those around you for four days straight. I used to go on long trips with six sets of underwear, which took up a major chunk of space in my main suitcase. No more. 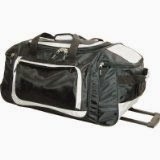 The Netpack Dual Tone Ballistic 28-inch Wheeled Duffel is currently available at Amazon.com, http://www.amzn.to/1tutsMY. Photo from Amazon Web site. I packed three white T-shirts, four pairs of undershorts (I could have done with three), two pairs of socks, two long-sleeved shirts and two pairs of pants. I also brought two pairs of shoes – one pair of hiking boots and one pair of hiking sneakers – both good walkers. I did have to buy a pair of flip-flops, so it’s good to take a pair along. I'd also recommend a lightweight outer wrap for cool evenings. Zippered is better than pullover because it can be worn open. I also brought a “fourway” waterproof, breathable coat with a hood and detachable lining that was another complete coat. I needed the whole thing in Mongolia, but it was excess baggage in Vietnam and Cambodia. Luckily, I could stuff it into a compartment in my rolling duffle. Not having to carry it on my arm onto airplanes was a major gain. documents, notebook, pens, sunglasses, magnifier, tissues, hand sanitizer, as well as photo accessories. The GIVE-N-GO® SPORT MESH 6-inch inseam boxer brief from Exofficio, http://www.bit.ly/10jh7kF. Photo from ExOffico Web site. Women may want to use such a thing rather than carry a purse, which takes up a whole arm. I also bought a billed (or brimmed) hat from ExOfficio with a sun protector flap that covers my neck. This is more efficient than a wide brimmed hat and takes up less space. I packed a liquid detergent and started out by washing my clothes in the bathroom sink. Few hotels had drain stoppers. 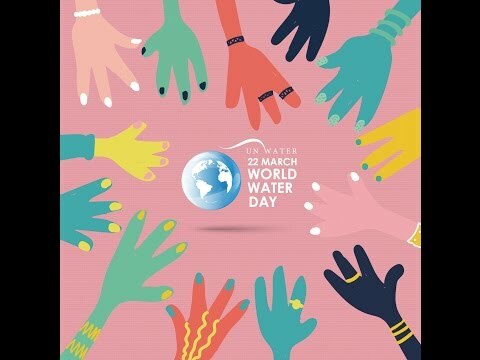 A good one to bring along is the rubber circular type that covers the whole drain. In many countries, hotels do laundry quite cheaply – in Vietnam it was the equivalent of about $1.20 per kilo. In the end, I availed myself of this service, though this can be quite expensive in fine hotels. For instance, it was $10.40 for about two kilos in Lhasa; in Tibet they charged by the piece and then added 15 percent. As for personal accessories, I knew I couldn’t buy along the way the kind of vitamin supplements I take, so I packed about two pounds of them. As I consumed them I gloried in the weight I was liberating. I brought small containers in which I put only my day’s supply of vitamins to take at breakfast. I happen to use plastic film cans, but these are becoming rare. My large supply stayed in plastic bottles. I dispensed them into multi-compartment bait holders, and then from there put a day’s dose into a film can. I take too many different ones to use one of those seven-day plastic containers. 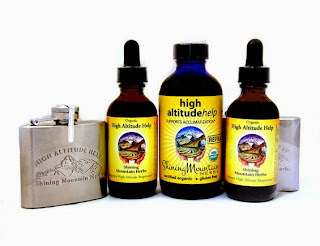 The Organic High Altitude Help from Shining Mountain Herbs is liquid relief from high-altitude sickness that can be poured into a stainless steel flask for easier transport, http://www.bit.ly/1s7QHcQ. Photo from Shining Mountain Herbs Web site. You can buy mouthwash, shaving cream, toothpaste, skin cream and so on in most places, especially in cities. To that end, don’t try to take your entire supply if you’ll be gone for a long time. Also many hotels supply the most common of these. Women should bring their favorite makeup, however, because they may not find what they want, plus it’s expensive in airports. Pack sunscreen if you use it. Also pack small quantities of headache remedies, anti-diarrhea pills and motion sickness pills. Don't forget altitude sickness pills if you’re going to places with high elevation. There is a homeopathic jet lag remedy that may have helped me on the outbound trip. It took me about two weeks to get over jetlag completely upon returning home. Next week: What to book ahead of time and Ground transportation. This is really mind blowing thinking for consideration for long-distance travel. The people who often travel may be benefited to get this information in this website. After long since I have got this valuable info which is really so supportive and awesome. Take it up.